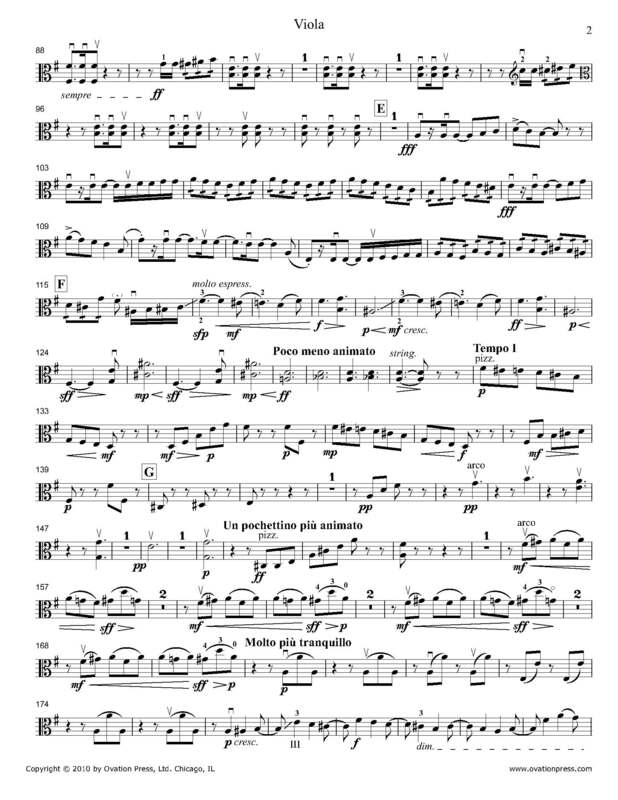 The viola part for Tchaikovsky's Symphony No. 5 in E minor, Op. 64 has been edited by Joseph de Pasquale, a legendary violist who studied and collaborated with some of the greatest musicians of the 20th century, as well as held the position of principal viola in the Philadelphia Orchestra from 1964 until his retirement in 1996. Mr. de Pasquale's bowings, fingerings and other editorial markings have been added throughout the score. Tchaikovsky's Symphony No. 5 was composed between May and August of 1888. Like his Fourth Symphony, the Fifth is a cyclical symphony, with a recurring main theme. However, unlike the Fourth, the theme is heard in all four movements. Also, as in the Fourth, Tchaikovsky employs the theme of "Fate" in this symphony: the introduction represents a resignation to the inevitability of predestination. The Symphony is in four movements, and a typical performance runs about 46 minutes. Download and print the score today to gain access to expertly edited Tchaikovsky Symphony No. 5 viola fingerings and bowings from Joseph de Pasquale!